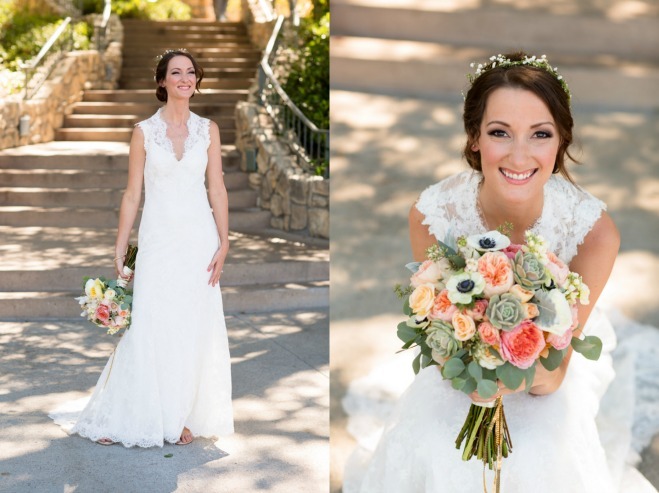 Temecula Creek Inn turned out to be a destination wedding for Lauren and Jerod who planned their entire wedding from Hong Kong! 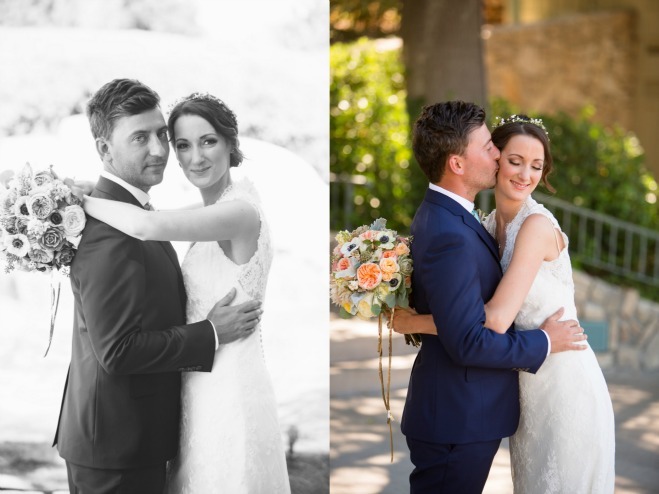 The couple met six months prior to Jerod receiving a promotion in Hong Kong and after asking if they had a place for Lauren as well, they moved across seas together. 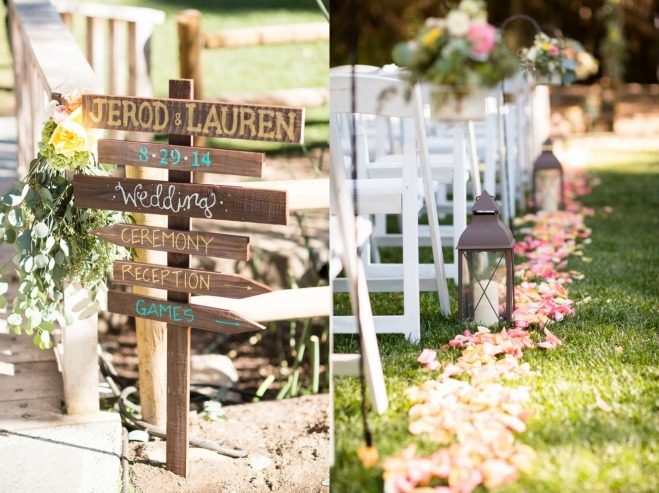 With the entire wedding being planned overseas, Jerod and Lauren chose Southern California for their nuptial destination as it was close to family and friends and an area that the couple absolutely loved. 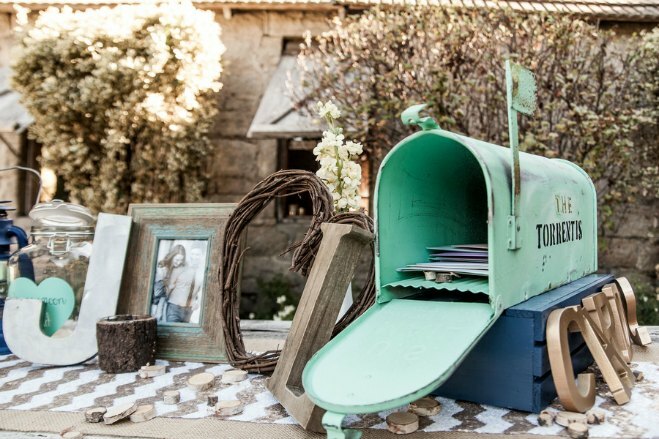 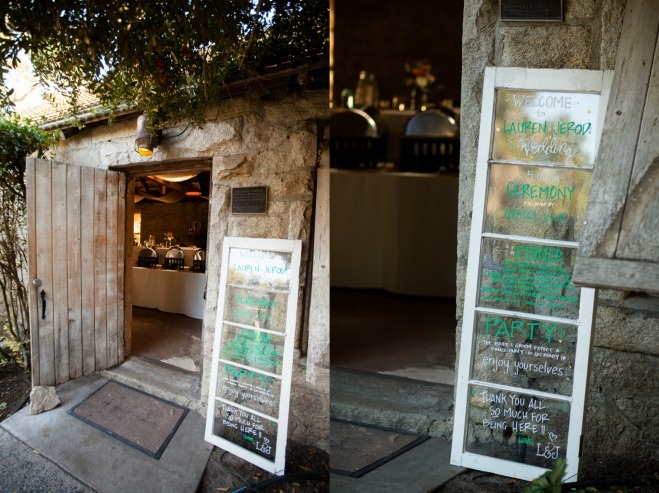 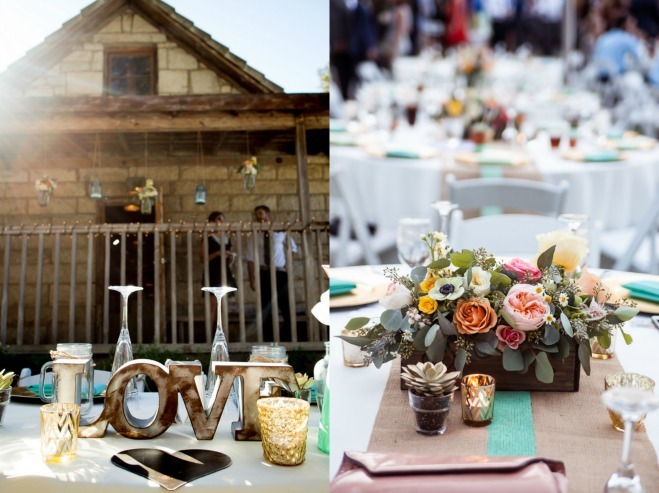 Temecula Creek Inn just so happened to be the first place they found while searching for a venue online when they came across a photo of the Stone House and fell in love. 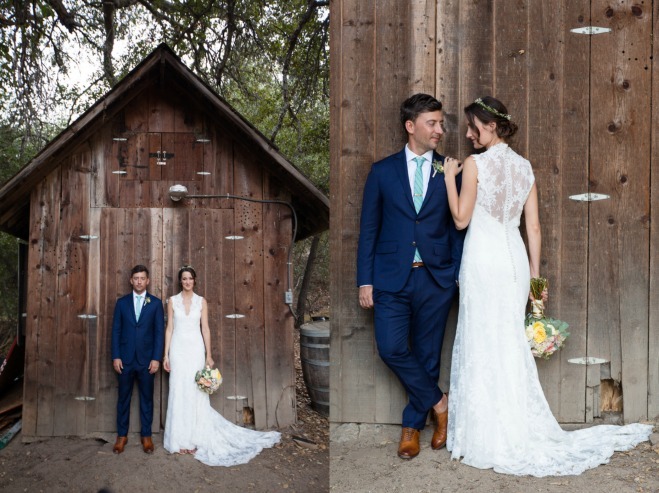 Hard work from family in California truly helped to pull this wedding off as Lauren and Jerod were only able to visit their wedding destination three times during their year of planning. 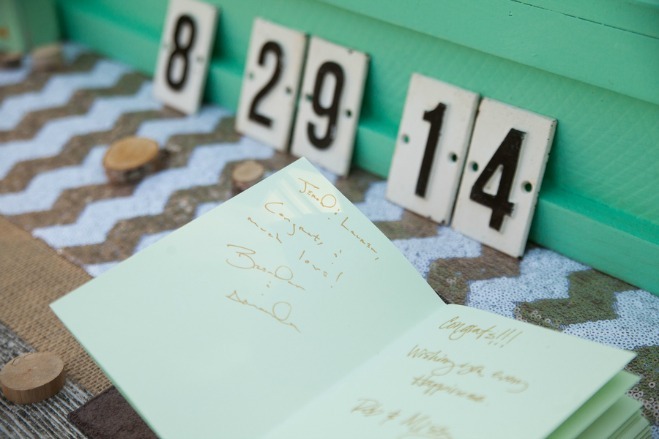 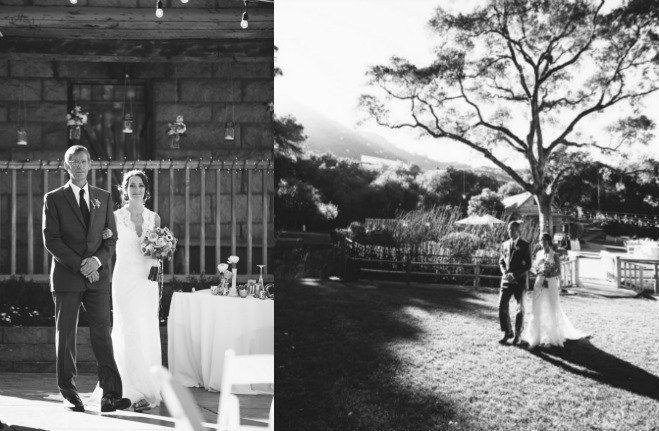 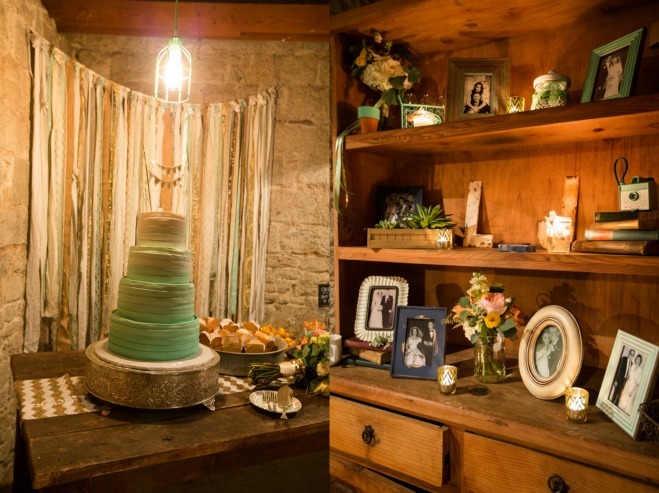 We love that this rustic wedding was designed entirely by the couple. 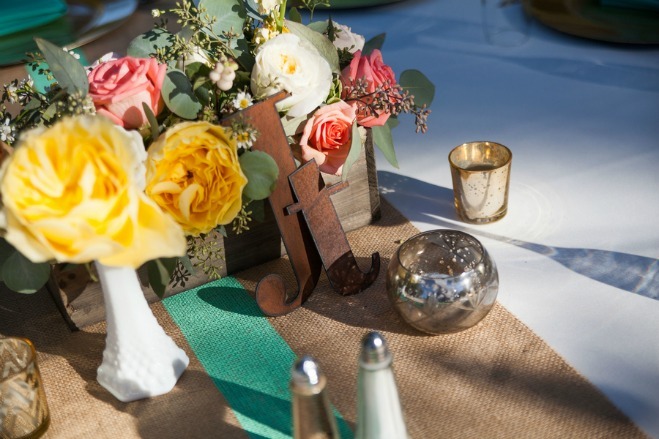 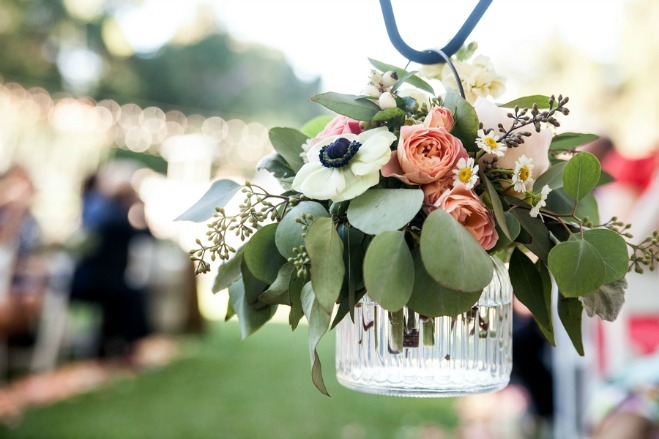 What we love even more is that a wedding with such a romantic and whimsical touch was composed largely by Jerod. 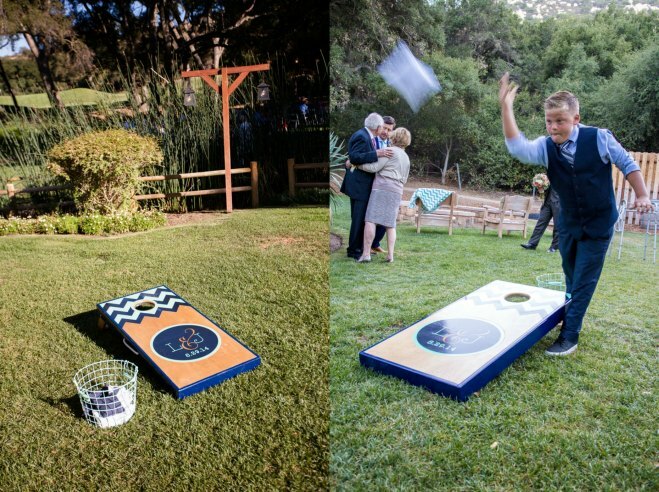 Much of the design work and handmade touches were products of the groom (with the help and approval of Lauren of course). 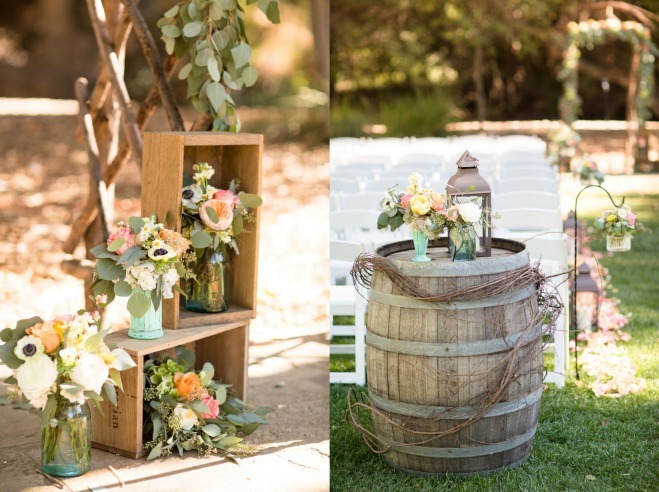 The celebration was adorned with immaculate detail in earth tones; but the pops of coral and turquoise in the floral arrangements and fixtures really romanticized the event. 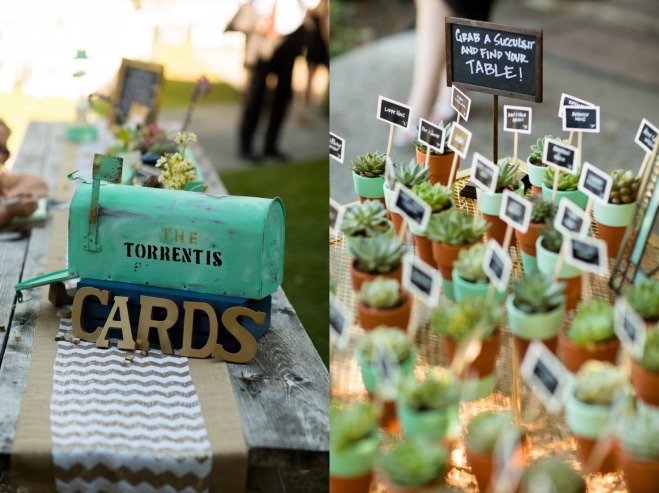 From the succulents, to the outdoor reception, and dance floor beneath suspended lights and chandeliers, every detail of this wedding is completely swoon-worthy. 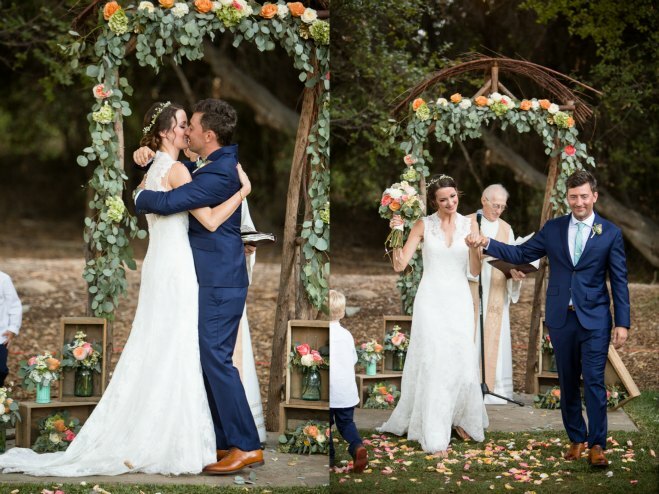 The Hard Times of RJ Berger star and Price Is Right model Amber Lancaster tied the knot with her groom, A.J. 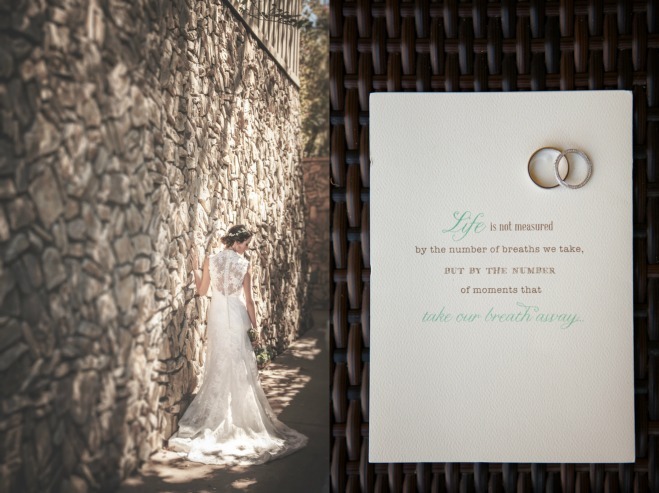 Allodi, at the Parker Palm Springs during a loving ceremony. 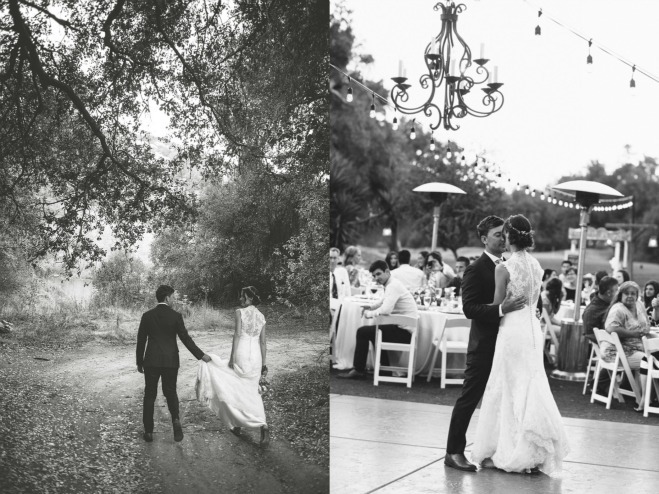 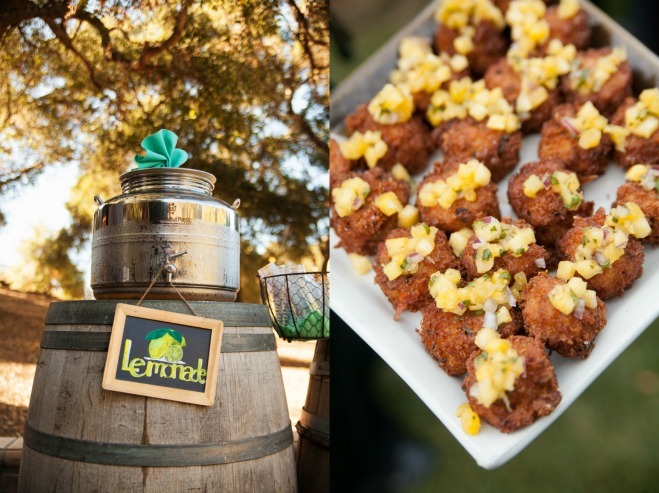 With guests invited to the wedding from around the world, the couple wanted a quintessential California setting, and Quail Ranch delivered with its towering oak, pine and citrus trees overlooking a working avocado farm.